What is a social club? 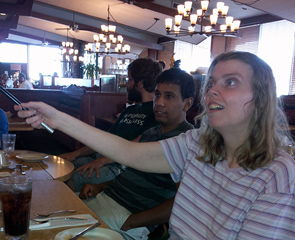 Our social clubs provide opportunities for teens and adults with disabilities to socialize with their peers while learning how to use resources in their community. These programs are designed to strengthen social, self-help and leisure skills. This Friday night social club is the perfect program for individuals residing in group homes to gain community independence and meet other peers. We will spend three lively nights socializing and enjoying many fun activities. Let’s start our voyage by spending three Friday nights enjoying the company of other individuals with similar lifestyles. This is a great social club to promote community integration for those residing in group homes. This Friday night social club meets three times per season and is packed with several fun activities and exciting outings. It is the perfect opportunity to meet new friends and connect with old ones. This club meets three Friday nights per season and is specifically designed for young adults. Activities and outings place a strong emphasis on socialization. This program is designed specifically for people who are deaf or hard of hearing. Join us as we enjoy three exciting nights exploring what our community has to offer. This fun social club meets three Wednesday evenings per season and is spilt into two separate groups. Group one is designed for individuals with physical and visual impairments; Group two is designed for those with physical and cognitive impairments. The outings are created to provide participants with opportunities for socialization and community exploration. This group is geared towards our teen population and meets eight Saturdays per season. Four of the Saturdays will be spent on various field trips within our community. The other four will take place at the M-NASR office and will include fun activities that are appropriate for teens. For more information about social clubs, please contact M-NASR at (847) 966-5522.